The Baton Is in Your Hands! Persevere! There are many runners in a relay race: some of them begin the race running while others wait for the first runner to pass the baton onto them. These are then prepared to receive the baton and continue the race. Everyone has the same goal: to be a winner! In this race, there is no way of being alone because every runner needs one another, as they reach the end of their zone, they need to pass the baton onto the ones that are ahead of them and will then continue the race. Our Christian life is also like this (Acts 20:24). Christians have been running in a race for centuries so that the Word of God may reaches us, transforms our lives and causes a reaction in our living. Many have been running for decades, they have a vision of preaching the Word so that people may get saved. However, it’s very common that the ones who are running this race today are not the same people that began the race. 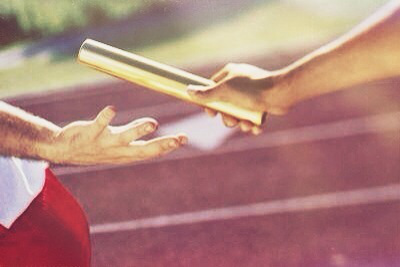 The baton has been passed on from generation to generation so that it could be in your hands! The baton has been passed on from generation to generation so that it could be in your hands! However, the runners are warned about the many things that can go wrong in the race. One of them is the possibility of injuries. If someone gets hurt, this person will feel weak and will think about giving up, he will have to make a quick decision because the race carries on, it doesn’t stop. Therefore, you need to decide to persevere and to continue running because God will help you! Another situation is people that will try to take you out of the race. If you weaken in a moment like this, there will be a great possibility of you not being able to continue. But persevere!!! God will send someone to go and run with you until the end of the journey. Keep going! Continue! The baton has been passed on to you. Prepare yourself to receive it. Have you received it yet? Will you give up?! The race hasn’t finished yet. Make your choice! The baton is in your hands! Persevere! The baton has been passed on to you. Prepare yourself to receive it. Have you received it yet? Will you give up?! The race hasn’t finished yet. Make your choice! The baton is in your hands! Persevere! Text inspired by lecture of the Young People’s Conference held in Rio de Janeiro on the 3rd, 4th and 5th of April 2015. Translation of the article O bastão está em suas mãos! Persevere! (Blog Eu vos escrevi). Nowadays, young people focus their energy more and more on the search for a good career and economic stability. Pursuing financial security and well-being demands time, whereas economic stability and money can give the feeling of security. However, only one thing can give life, and that is wisdom: “For wisdom is a defense as money is a defense, But the excellence of knowledge is that wisdom gives life to those who have it” (Eccl. 7:12). Wisdom is the word of God, which is God Himself (John 1:1). We don’t want to discourage the young ones to pursue a career; this is actually excellent. But we would like to call their attention to the danger of spending all their energy and time, forgetting to enjoy God’s life and to cooperate with Him. In the same way we employ our biological life to fulfill our purposes, God’s life can be useful to fulfill His purposes. First of all, we have to mention the commitment we have towards God. First Corinthians 6:20 says, “For you were bought at a price; therefore glorify God in your body.” Christ gave His blood for us and now we are His property. He saved us from death and we owe Him our lives. “ For the love of Christ compels us, because we judge thus: that if One died for all, then all died; and He died for all, that those who live should live no longer for themselves, but for Him who died for them and rose again.” (2 Cor. 5:14-15). The Lord does not force us to serve Him; He constrains us with His love. 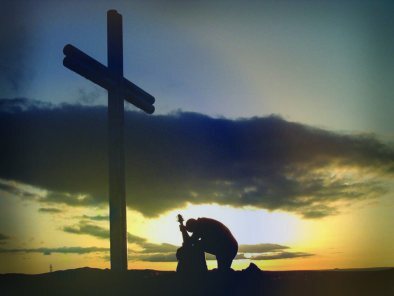 We live today to the One who died for us and resurrected. We also live through Him, because He is our life and, without Him, we would die. “In this the love of God was manifested toward us, that God has sent His only begotten Son into the world, that we might live through Him” (1 John 4:9). We only live because of Him, therefore we give our lives to Him. We also know that He takes care of us and we are able say just as Samuel did, “Thus far the Lord has helped us” (1 Sam. 7:12b). Seeing this — and there are more verses that can confirm our commitment to God — we are constrained to renew our consecration. However, we may then realise that we take much more care of our own things and goals, even though we were conquered by the Lord. Little we seek Him, and there is not much time we leave to do His will. We often take vows such as, “When I have more time, I’ll to go out and preach the gospel and serve the church” or, “When I have more time, I’ll read the Bible” or even, “When I have more money, I will offer…” This is an old kind of vow and it doesn’t please God. Haggai 1:9 says: “‘You looked for much, but indeed it came to little; and when you brought it home, I blew it away. Why?’ says the Lord of hosts. ‘Because of My house that is in ruins, while every one of you runs to his own house. '” How many times do we find ourselves looking for much? We look to have a great amount of time, we look to have a lot of money, we look to have a lot of willingness… The enemy of God imprisons us in such environment and promises of “When I have… I will…” and each time we look for more and more things for ourselves, and have less and less for God. The much is actually little. We look for more time, but we leave less of it for God. We look for better financial stability, but donate less to God. We steal everything for ourselves, while the Lord is asking for labourers (Mat. 9:38). The result of all of this is that, over time, we have less life. We are getting increasingly empty of God’s life within us because we lack wisdom. Not human wisdom, but the one which gives us life, true wisdom (Eccl. 7:12). Our speaking becomes limited to what we look for in the world, like exams, school, work, fitness etc, and little life flows from us. Oh Lord Jesus! May this generation of young people be saved! The Lord wants to save us. In order to save us, the Lord insists in calling us. In Song of Solomon 5 we read an interesting story. On verse 2 we can see the Shulamite sleeping, but her heart awake, which means that it watches. Galatians 5:17 says that flesh is against the spirit. The Shulamite’s flesh was sleeping, but something inside her, her spirit, was watching and was able to hear the Husband knocking on the door, “Open for me, my sister, my love” (Song. 5:2). The Lord is knocking on our door and our spirit can hear Him. However, the Shulamite’s reply was, “I have taken off my robe; How can I put it on again? I have washed my feet; How can I defile them?” (Song. 5:3). How many times do we give the Lord the same reply? We deny the Lord every time our spirit hears Him calling us and we reply something like, “Right now, Lord? I’m so tired, I’m exhausted… My body can’t handle anymore, I’ve just lain down. Come one, Lord, I can’t do it right now.” It’s just like the Shulamite who didn’t want to put on her robe or defile her feet. However, our Beloved insists, “My beloved put his hand By the latch of the door, And my heart yearned for him” (Song. 5:4). We may deny the Lord, but He insists. He has put His hand by the latch and touched our hearts. Sometimes He may use the saints, church meetings or circumstances in order to bring us back to Him. He’s putting His hand by the latch. Young one, the Lord is calling you to you dine with Him, He’s calling you to rest. “Behold, I stand at the door and knock. If anyone hears My voice and opens the door, I will come in to him and dine with him, and he with Me” (Rev. 3:20). The Lord Himself is our rest and delight. “Will he delight himself in the Almighty? Will he always call on God?” (Job 27:10). He uses the saints, gentle cords, and He takes away our burden and stoops to feed us. “I drew them with gentle cords, With bands of love, And I was to them as those who take the yoke from their neck. I stooped and fed them” (Hosea 11:4). The Lord wants to give us life in abundance. “I have come that they may have life, and that they may have it more abundantly” (John 10:10). This means that when we answer the Lord, letting Him in, we allow Him to be our rest. We can’t let the enemy usurp our time, goods, body and disposition. That we may be as “those who use this world as not misusing it. For the form of this world is passing away” (1 Cor. 7:31). That we may look for Christ who is our life (Col. 3:4). Why bother reading the whole Bible? Many of us want to read the Bible but we lack motivation and commitment. Right after the Lord Jesus was baptized he went to the wilderness to fast and pray for 40 days. It was there that the Bible says he was tempted by the enemy in many aspects. The first temptation was hunger; the second one was power; and the last temptation was testing God. “If You are the Son of God, throw Yourself down. For it is written: ‘He shall give His angels charge over you,’ ‘In their hands they shall bear you up, Lest you dash your foot against a stone.’” (Matt. 4:6) Satan quoted Psalm 91:11. Satan used the word of God itself to tempt the Lord. The enemy knows the Word and uses it in order to attack us. But the Lord with boldness of spirit, rebuked the enemy using God’s word! This why it matters to know God’s word. Beside from having a good arsenal of scripture to use to preach, we’ll have a good arsenal to defend ourselves from the enemy! I read the entire Bible for the first time when I was 13 years old. I didn’t believe I could do it because it looked like it’d be difficult and only something those with some grey on their heads could accomplish. But I set the goal of reading ten chapters a day. I’d do that starting from Genesis and all the way to Revelations. It didn’t matter if it was a holiday, or a weekend. I woke up early every day to read the Bible and there was no exception. Sometimes I read five chapters in the morning and five at night and sometimes I read ten chapters right in the morning. It was easier in the beginning because I was excited to fulfill my goal, however, after a while, the task felt harder to finish. I got weaker with each passing day and there were days in which I didn’t even read it. But the Lord compelled me in my Spirit to know His word. I couldn’t have a lukewarm approach. I had to be fervent in the Lord. I wanted to have more intimacy with the Lord and that meant I had to know Him better. So I sought to enjoy of His word everyday and call upon His name all the time. If I didn’t read the Bible on Wednesday, for example, because I was exhausted, I remembered the hymn 208: “O Jesus, Jesus, dearest Lord! Forgive me if I say, for very love, Thy sacred name a thousand times a day.” The message of the hymn is that it isn’t enough to call upon the Lord’s name a thousand times over a day! Even that isn’t enough. This pushed me so if I missed the ten chapters on Thursday then I didn’t read twenty chapters to compensate the ones I haven’t read on the day before. I read ten chapters so I wouldn’t be discouraged again. Doing so, I managed to read the whole Bible for the first time! I was very happy because the Lord helped me in every step! But simply reading the Bible consistently doesn’t mean you’re enjoy Christ. Sometimes we read His word in a careless way to the point we can hardly remember what we read an hour prior. So we need to empty ourselves first. And does this happen? O Lord Jesus! We need to pray and ask for the blood of Jesus before we read His word, so we are clean to go to God and be in His presence. When we read the Bible, we need to read His word with prayer. Stop and pray every time you come across a verse that touches you! I can’t begin to describe how much this will satisfy and fill you with life! I read the Bible three times in this way (ten chapters a day), and in the fourth time I did it differently. I decided to follow the daily reading table that we all can find at a Bookafe or in some annotated Bibles. The experience was rich! 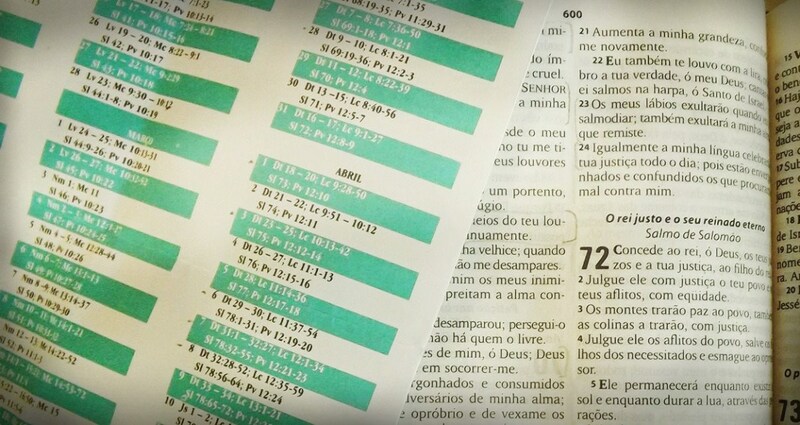 On this fourth reading, I read less than ten chapters a day and this gave me the opportunity to dwell more God’s word and it was easier to fulfill my goal, because I didn’t have the strict regiment of reading ten chapters a day, of keeping track of your reading and making up for missed days. In the fourth reading of Bible, where I took the time to ruminate and dwell on shorter amount of passages, the Lord gave me exactly what I needed each day! All this being said, there isn’t a right way to read the Bible, but is should do it. I encourage every one to take this initiative and to be armed with of the holy word of God every day! We won’t know the Word from overnight, but the Lord will fill us with His word little by little, day by day, reading after reading. Hey everyone! I’d like to tell you about my perspective of some things. First of all, let me introduce myself. I’m Sara, I live in Itaguara, in the state of Minas Gerais, Brazil. I’m here to tell a little something of my own practical and spiritual experience regarding relationships. I’ll start by saying that I didn’t care much about this marriage thing during my teenage years. I was more focused on that present moment than on the future. I’ve always been like that. I never liked showing my feelings so I’d bury them so deeply that I often wouldn’t be able to find them myself LOL. I was always busy with my own things, like school, so romance didn’t occupy much space in my mind. Of course, like every girl, deep down inside there was this desire I had for company. A yearning to have someone to call mine. But, I’ve always been a bit different, even a little weird LOL. To me, this whole thing of getting caught up thinking about someone else was lame, and, in my opinion, it showed weakness. Actually, I realize now as I look back, that was not what I truly thought: I guess I was trying to protect myself from suffering or something like that. But that’s another story. The important thing is, when I was 17 I went to a young people’s conference at Estancia Arvore da Vida, Brazil. There, I opened up my heart to love (Aww!). I’ll never forget it. After a whole lot of praying, I felt the Lord had planted in my heart a desire to form a family and this made me start praying for someone who would make me happy and fit into my plans. However, I failed to realize I was praying in a wrong way. I didn’t even know whether my plans were the same of the Lord’s so how could fit into plans that could not even happen? I believe, though, that even so the Lord was merciful and kept someone special waiting for me. I’d like to make something clear. The time I spent not worrying about relationships was hidden blessing. Because it kept me from being hasty and looking for some guy here or another there. But, guys, the best “distraction” is to consecrate oneself to the Lord. You can surely dedicate time to your studies, for example, but don’t let anything in this world, even the apparently good things, strip you away from serving the Lord and doing His will. He’s what’s best. Always pray that the Lord would keep your hearts, mainly your feelings, because feelings are delicate and can hurt, leaving us with permanent scars if we make use of them out of time or in the wrong way. Well, back to my story. I met my special someone when I was 18! He was my chosen one! But the details are for another day. Jesus is Lord! See ya! How Have You Served God? Have you ever heard the Lord’s call? Have you ever obeyed that call? We know that the God’s speaking produces something (Gen. 1:3). The voice of the Lord also needs to produce something in your life. What have you done? The first reaction when we obey to that call is to SERVE. Many times we think we are useless, that we don’t have any function in the Body of Christ. That is not true at all! Satan knows about your importance to God and he doesn’t want you to know that. Jesus made you for a purpose, which is to serve Him. The service to God can occur in two different ways: in personal aspect, which is practiced when the Lord shows you something through the intimate fellowship with Him, and the collective aspect, that is the service done with the brothers exercised in coordination. In the personal aspect, the Lord can simply give us gifts and we can serve Him through them. The music service, for example. However, the personal aspect is not limited to talents only, it’s much more than that. It is related to the exercise of faith. You can serve Him at college, and through your testimony, serve Him at work by offering a prayer to any employee/customer who has any kind of family problem. You can also serve Him in traffic jam maintaining a good conduct, respecting the laws imposed. At last, to serve God in a personal way is to be recognized as Son of God, regardless of what you are doing. It’s to be His expression wherever you are. In the collective aspect, it’s often more difficult, because you don’t only deal with your soul but with several ones from many people. For example, while serving with the brothers in the cleaning, we can not simply get the broom and sweep. It is necessary to be coordinated in the division of the service. Imagine if each brother goes for a cleaning supply and cleans? The same place may be cleaned more than once and somewhere can still be dirty because of lack of instruction. In the collective service it is necessary to go with the brothers and ask what to do, in order not to do it individually. It is important to emphasize that regardless of the service the Lord entrusted to you, you must do it thinking about His person. We can not exercise any service, as simple as it may seem to our eyes, in any relaxing way. We must remember to whom we are doing it. No service should be done to please men. The service is not to stand out or to show off. The service must be performed in a humble way, recognizing that we are not capable of exercising it. All service is to exalt the name of the Lord Jesus, so we need to ask Him for help, because everything that comes from our natural being does not please Him. It can only please Him when we open ourselves and let Him work on us. Thus, our service will rise as a sweet aroma and will be accepted by the Lord (Phil 4:18). A wise person is the one who lives in the presence of God. A good example could be the prophet Isaiah, when the Lord asked him, “whom shall I send, and who will go for Us?”. Then I said, “Here am I! Send me” (Isaiah 6:8). We need to be sensitive people to God’s will who can soon attend His call in order to do what He wants. Given these facts, we can conclude that serving God requires effort from each of us, as it will be necessary to leave our nature to gain more of His life. Therefore, it is necessary to seek for intimate communion with the Lord, constantly, to be able to discern what His will is and how to fulfill the service. God has no interest in a body member, but He is concerned with the whole Body. He needs you to work. So to serve, do not judge the service of the brothers, do not put any defects, receive help and deny yourself, your wishes and opinions (Matt. 16:24). Serve with joy, always calling upon the name of the Lord Jesus. This calling will not only save you but will also save your serving area. Only this way you will be a mature servant and will be able to reign with the Lord in the world to come. Text based on the book Servants of God; Good, Faithful and Wise. Translation of the article Como você tem servido a Deus (Blog Eu vos escrevi). The matter of politics has been on social networks, lately. The “Top Trends” stories are one of the most discussed subjects at our schools, universities and social groups. Even those who never had an interest to speak on things, now criticize many aspects of the government. Popular protests from all over Brazil in 2013 or Occupy Wall Street in 2011, for example, show the people’s dissatisfaction towards many decisions made by its leaders. As citizens, it’s perfectly normal to get involved in one issue or another. But as Christians, we need to take a firm stand! And I’m not talking about protesting on the streets and banging on pots, but about praying and interceding for the authorities God established above us. First, we see in 1 Thess. 5:16-18 that God’s will is that we may be grateful and give thanks in all situations. The apostle Paul didn’t specify if the situations needed to be good or bad. Regardless, Paul advised the Thessalonians to pray without ceasing and to rejoice evermore. This is the attitude of a son of God who believes that God takes care of everything and allows events to go according to His will, for “we know that all things work together for good to them that love God.” (Rom. 8:28a). Regardless of what we think about the administration of our countries we have to remember it’s the Lord who let the situation happen. Then, in 2 Chr. 20, we are told that “The children of Moab and the children of Ammon and with them other beside the Ammonites, came against Jehoshaphat to battle” (verse 1). Jehoshaphat was Israeli king but that battle and the political climate were affairs that the Israelites couldn’t solve by themselves. They sought help from the only one who had the power to solve it: God! In verse 4, we see: “And Judah gathered themselves together to ask help of the Lord”. In exactly the same way today there isn’t another way to solve the societal and political problems but to turn ourselves to the Lord! We can all together, as the church, unto whom the keys of the Kingdom of Heaven were given (Matt. 16:19), cry for help to the Living God so that He can end all crisis, including matters such as the currency value of the US dollar, which influences directly on the supply of the Lord’s work in other countries. The experience of the people of Israel shows that seeking God of all wisdom can enable authorities to govern our country in a good and correct way. The Lord has pleasure in taking care of us and in having His children depending on Him. Let’s do His will, which is for us to be grateful in everything and to present Him the situation of our country, so that we may see a change and have peace, for God is our provider! 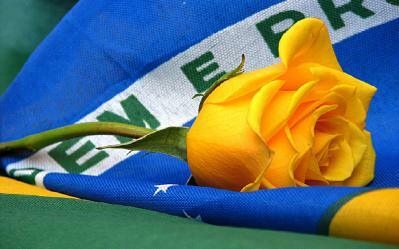 Translation of the article O Cristão e a Política (Blog Eu vos escrevi).